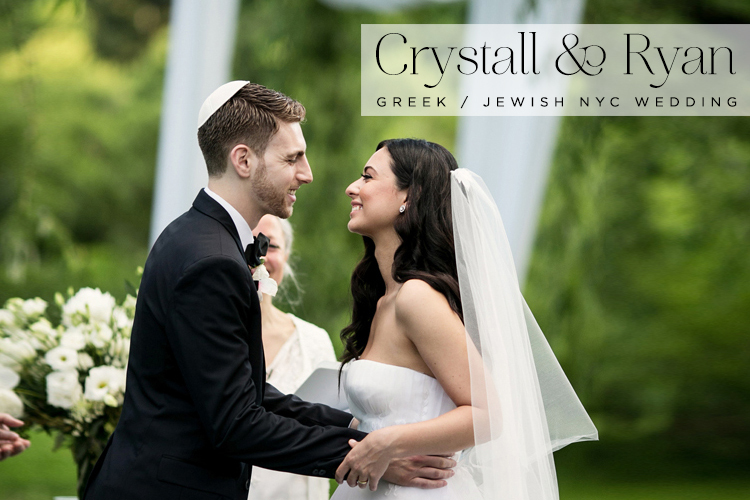 The only type of wedding that compares culturally to a Jewish wedding is, of course, a big fat Greek wedding. 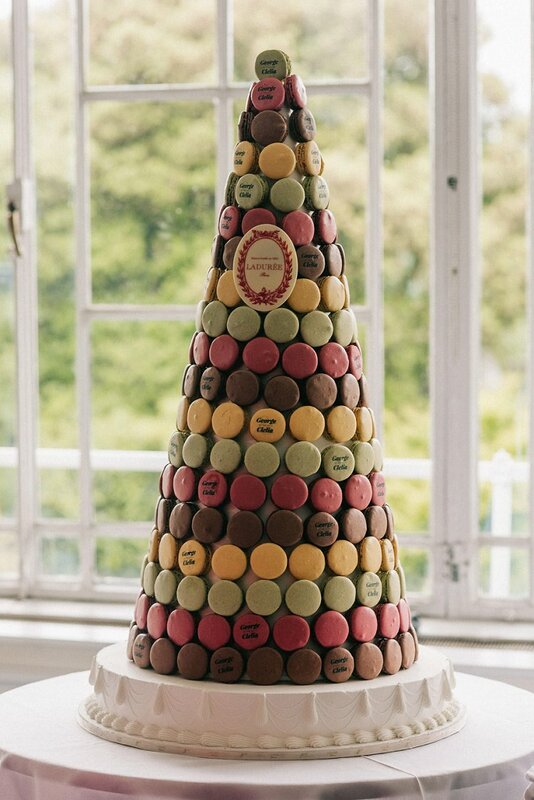 So, as you can imagine, a combination of the two makes for a pretty epic Mediterranean family-centric celebration! 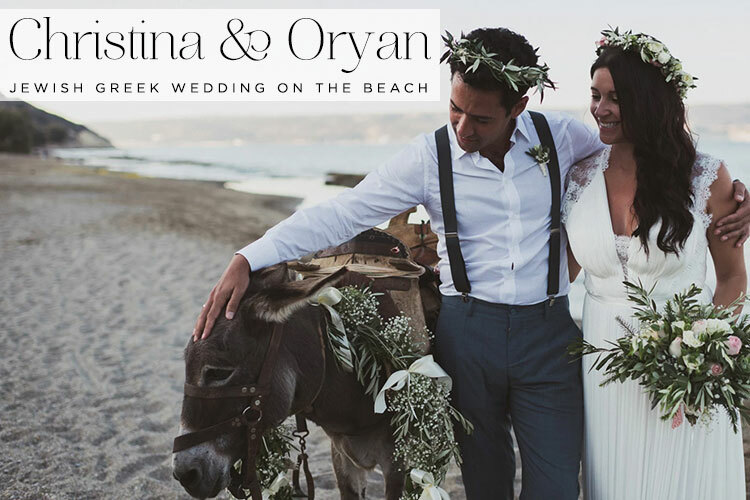 Christina and Oryan tied the knot on the beach in beautiful Crete, owing to both the bride and groom’s Greek and Greek-Cypriot backgrounds, and the convenient short hop from Israel, where Oryan has family ties. 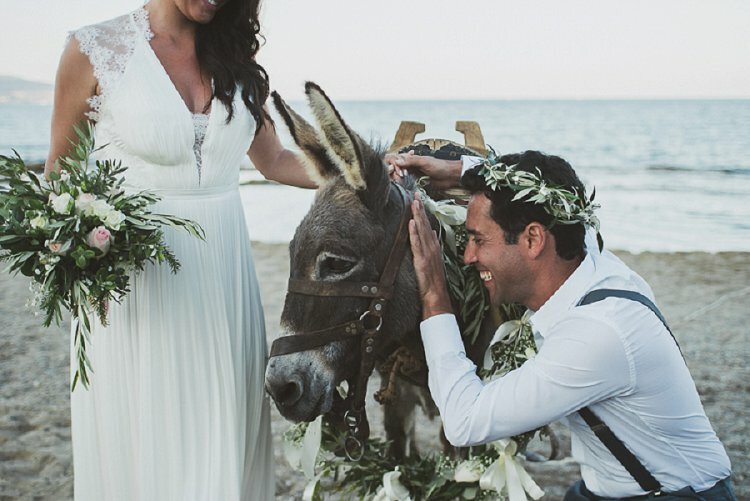 We adore the laid-back feel of this gorgeous destination wedding, with the bride making her grand entrance on donkey-back, the couple exchanging vows barefoot on the beach (with one notable moment as an exception) and Greek / Israeli food and dancing. 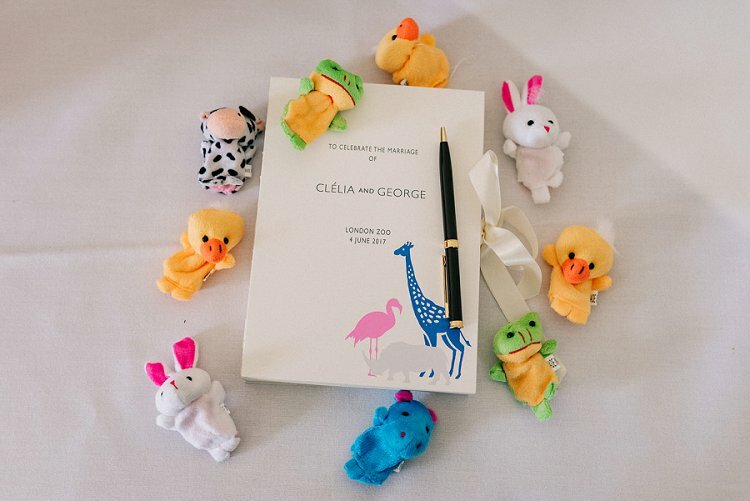 The pair kept things simple, with no bridal party and ensuring that everything had a natural, organic feel to it. 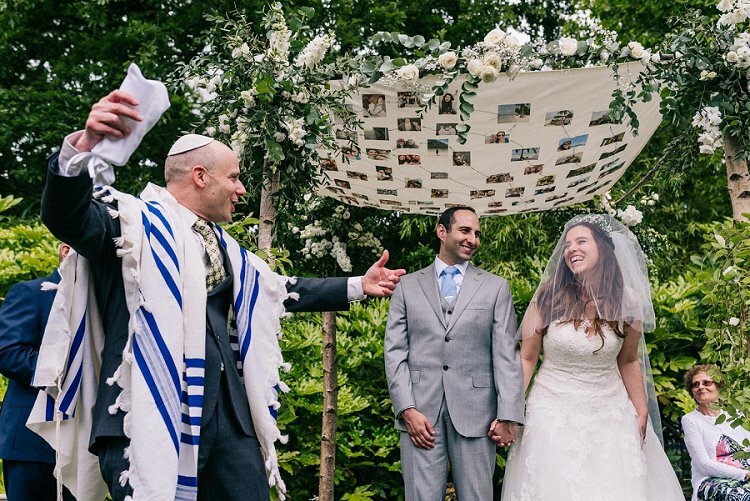 We LOVE the simplicity of the wooden Chuppah with its delicate floral arrangements perfectly framing the view of the sea. Stunning. 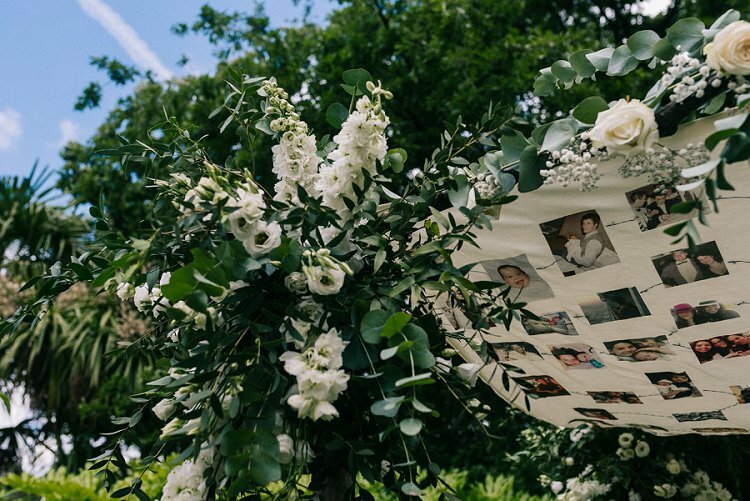 Family played a huge role in the ceremony, with both of the bride and groom’s sisters being given a significant part to play. 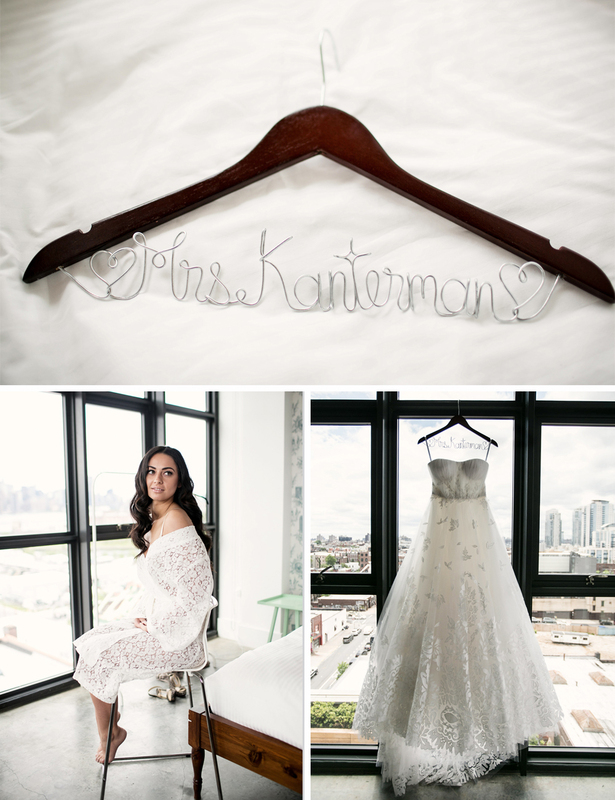 Oh, and Christina’s Catherine Deane dress was simply perfect — elegant, bridal, flattering and beach-wedding beautiful. 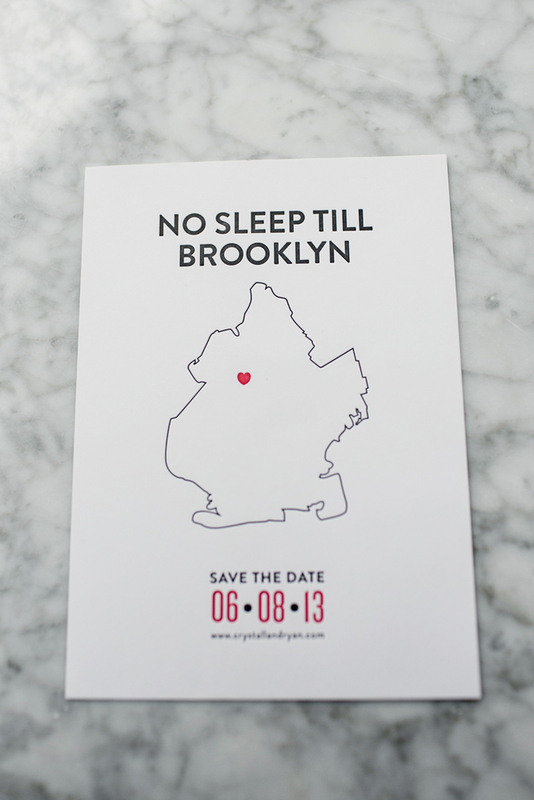 Christina and Oryan, the bride and groom: We met through mutual friends in NYC. We had both moved to New York in 2010 and had mutual friends in common through which we were introduced. We remained friends for several years before starting to date in 2014. If the image above doesn’t draw you right in to this Greek / Jewish (or Grewish!) 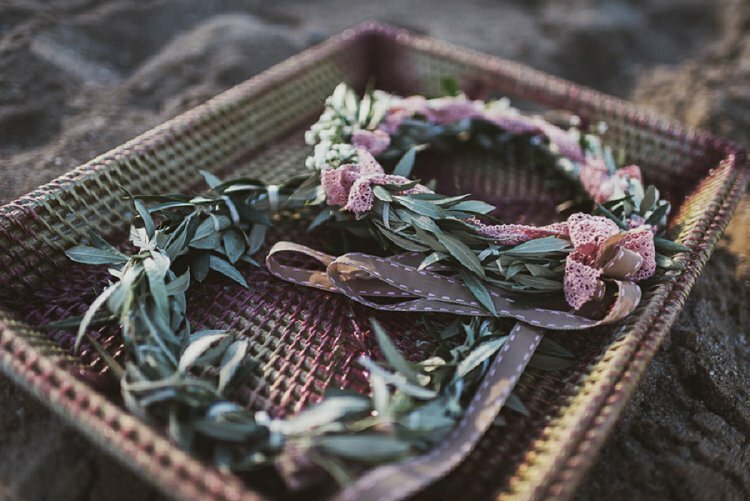 wedding, I don’t know what will! I’m obsessed with the energy and aesthetic of it… and the talents of the man behind the lens, Ronen Boidek, whose work I’m honoured to have featured before on Smashing The Glass. 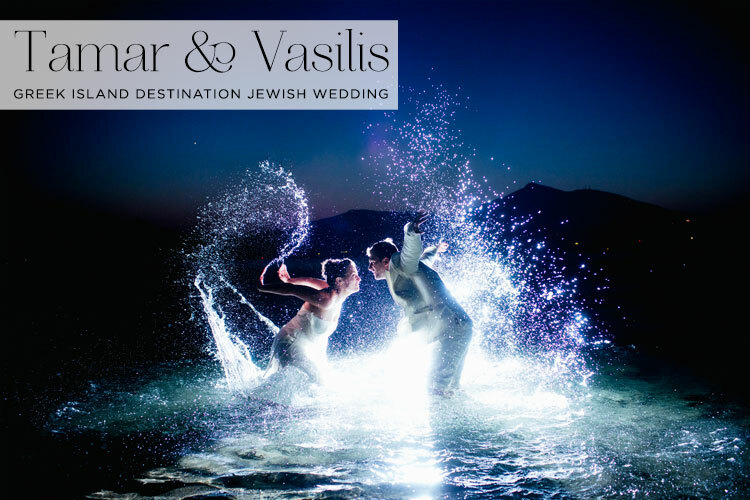 Courtesy of Ronen’s photography, and a very entertaining wedding report by Tamar the bride, not to mention an incredible film by Nikos Vamvakidis at the end of the post, we’re being whisked off to the gorgeous Greek island of Paros today. 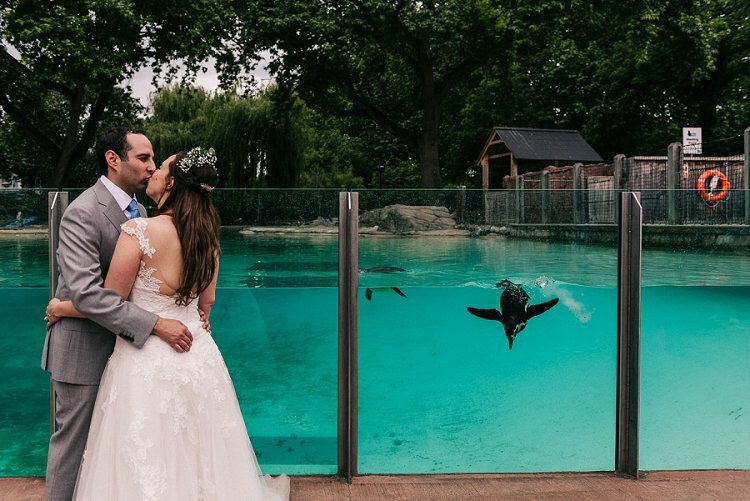 Blue skies, smiles for miles, sandy beaches, a bride and groom jointly smashing the glass, broken plates, smashed pomegranates, Jewish wedding traditions, Greek wedding treaditions, the sparkliest of azure seas, Greek music, Jewish tunes, a first dance tango to Por Una Cabeza (one of my favourite pieces of music)…. wow! As the bride puts it, this wedding is literally a mesh of joyous inclusion. 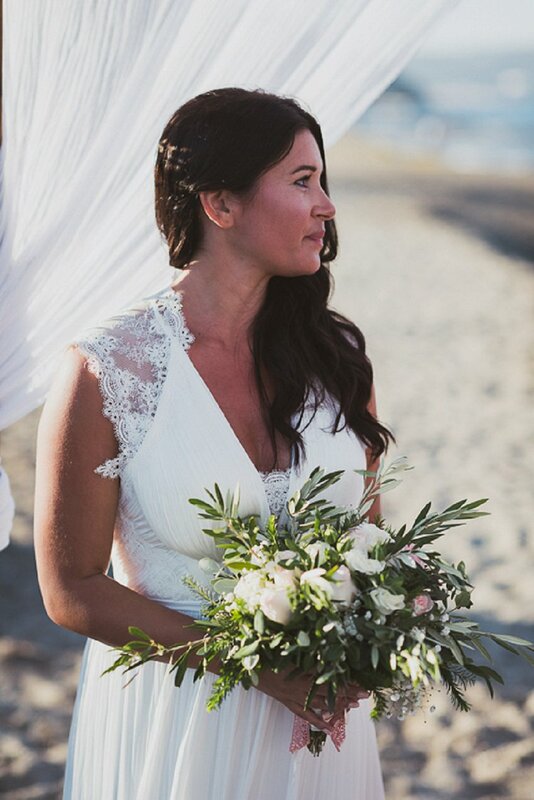 And not only did bride Tamar rock a gorgeous Grecian-style dress from High Street label Monsoon but she switched into ANOTHER gorgeous frock before the bash was over too! 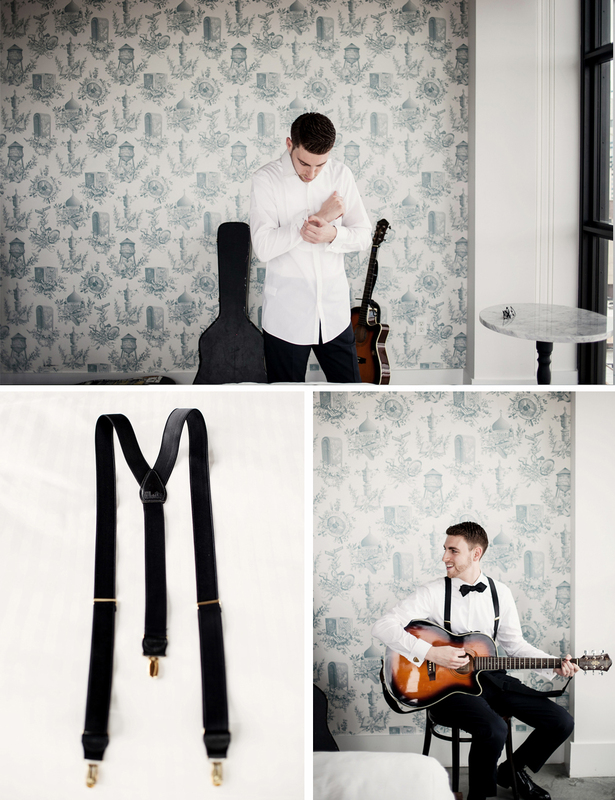 And Vasilis played his part of the snazzy groom splendidly in his linen suit and trilby… totally dashing! Just a word of caution — you may well be booking a little trip to Greece by the time you’ve finished this post…. Don’t say I didn’t warn you! 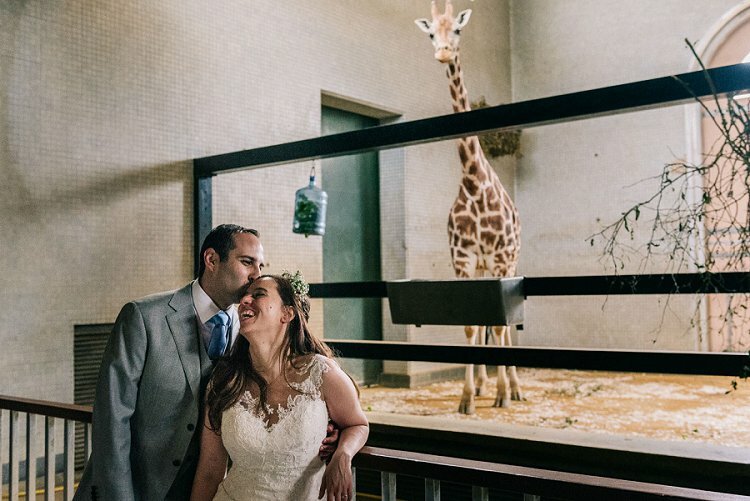 Tamar, the Bride: Vasilis and I met in a boho tea room on Brick Lane in London in November what feels like 100 years ago. Five years after that he proposed five times! He had intended to propose on the anniversary of our first meeting. We had planned to go to Budapest that November and he wanted to get on one knee in the middle of the bridge between Buda and Pest. But he couldn’t wait. So the first time he proposed I was in my pyjamas the night before we flew and was so shocked and a bit sad: I wanted to have at least been wearing a bra! The second time was only two minutes later with bra on and shock not over. The ring was a bit big so we planned to resize it after our anniversary holiday. The third time was that weekend on a bridge between Buda and Pest and the fourth time was a few minutes later on an even better bridge that he liked even more. Then, when we returned to London we had to get the ring resized and after picking it up he presented it to me again on the balcony of the Royal Opera House. He says that he loves proposing to me and that every time I say yes his heart leaps, so although the count is at five proposals, they may not be the last!